I want to mention few points about traveling by plane between these two cities if someone is going to do this trip for the first time - since I made it that many times that I think I know some details about the route. Tickets for the plane are mostly not discounted with crazy prices as some other flights (you can flight to Paris or Stockholm from KTW for 10 €) but PRG-HEL is always 50 €+, normally around 65 €. I believe the boarding in HEL and PRG is possible with the electronic tickets. I am not doing it, but if I recall it is not a problem. In Prague you can print your boarding pass from a self-checkout kiosk if you are flying with ČSA, but not for the flights from Norwegian AND in Helsinki you can print it for Norwegian but not for ČSA. Update: it works without paper on both places. If you can choose, fly with Norwegian because they have nicer planes. 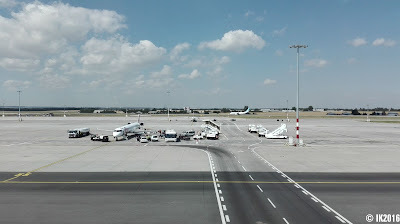 ČSA sometimes uses the older planes of Travel Service which all Czech people are using to reach their summer holidays (as same as Finns go to the Canary Islands). Warning: if you fly PRG-HEL with the late Norwegian flight which is cheap and arrives around 23:00 you can't manage the connecting train outside Helsinki (for example to Tampere and elsewhere). Instead, you need to pay way too expensive accommodation in Hel or stay on the airport. In that case fly with the earlier ČSA flight. Or there is night ExpressBus connection at least to Jyväskylä. On the way back, HEL-PRG with Norwegian you can easily reach the last RegioJet train to Ostrava and SK. For trains to Brno, you may need to use the earlier ČSA. If you are staying in Prague it is not problem to use any of the connections. Arriving to Helsinki airport in Vantaa (Terminal 1! with ČSA) is most comfortable with a train. There are two lines (I+P) of commuter trains and it doesn't matter which one you are using. I don't know about the buses going there since I always used a train. 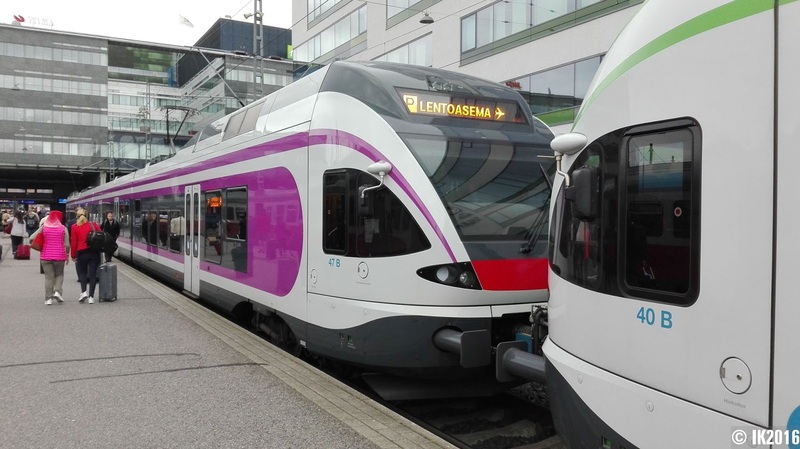 If you are traveling from longer distance by train the commuter train is included in price if the destination is Helsinki Airport - you can also add the field "via" Helsinki and go to the city centre in meanwhile - this works only when you are booking the ticket via desktop website VR.fi. 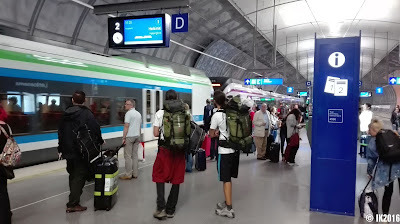 If you are arriving by Onnibus to Hel, you need to walk a bit to the railway station + pay the commuter train for 5 €. I have never met any ticket control in commuter trains, but I can't recommend travelling this 20 min without it since the penalty is 80 €. 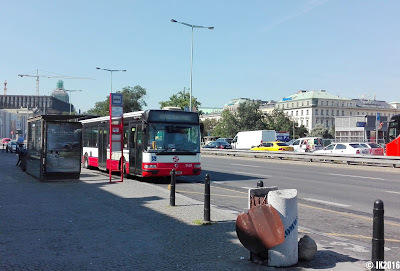 Arriving to Prague Airport is worse, since people of Prague have been discussing train for many years but for now they have only the overfull bus line 119. Around the year 2050 there could also be a metro (ha-ha). So, you can go with the public transportation to the city centre. Or use the not-that-public-even-it-is bus line AE straight to the train station. It's way more comfortable to reach the centre with AE. It costs some extra money, BUT if you buy and print the ticket via eshop of Czech Railways in advance, you can have it by cheaper price (42 vs 60 CZK – the difference of one beer for Finns). Note: you don't need to book exact time for AE, just day is enough. So, the bus 119 includes the transfer to metro however, it tends to be full and if you have luggage there are a lot of stairs on your way. How to reach it: From the Terminal 2 Arrivals exit you need to go straight to the first exit and the bus stop is there, slightly on the right side. For the direct bus AE you need to go to another stop. From Arrivals exit go to the left, around the transportation ticket desk and the shop in the direction of Terminal 1. The bus stop is in front of the Terminal 1 entrance. It is maximum of 10 minutes of walking inside the airport, but most likely much less. Cash or card? Nowadays it doesn't matter. In Finland you don't need cash at all. In Czechia it is 50/50. But traveling from the airport it could be cash-free (however, not free of charge). There is a ticket-desk in the terminal and also a new type of machine where you can buy the ticket with a card. We in Ostrava are using bank-cards as tickets, in Prague they are discussing about this option too. Luggage: Nowadays (1/2018) is in Helsinki-Vantaa a self drop-off registered baggage desk, which is not nice, because it’s measuring the weight quite accurately. Up to 300g it is not a problem, but if you have more, you cannot discuss about it with the service as on other airports. Security control: if you come during the busy time, you need to take in account to have around 30 min time for the security check. Service in HEL is more annoying than PRG with their "too much electronics" in the backpack. Somehow, they are still randomly checking me for the drugs, why do I look so suspicious!? Facilities: on the Prague airport there is a supermarket in the non-secure zone where the prices are normal, what is an advantage if you are traveling from there. I can recommend buying a beer and to drink it before the security control because after that everything will be more relaxed. Also, you can go to the viewing place at Prague. Actually there is also supermarket in Vantaa airport localted in front of Starbucks, not many people walk around that place. Helsinki-Vantaa airport is less interesting and of course, more expensive. On the other hand, they have sleeping pods in Vantaa (paid), but outside security zone inside corridors to a train are benches where you can try to sleep. There is also food supermarket in Vantaa airport, just do not go to security check and continue to Starbucs, there is grocery store. What to buy? 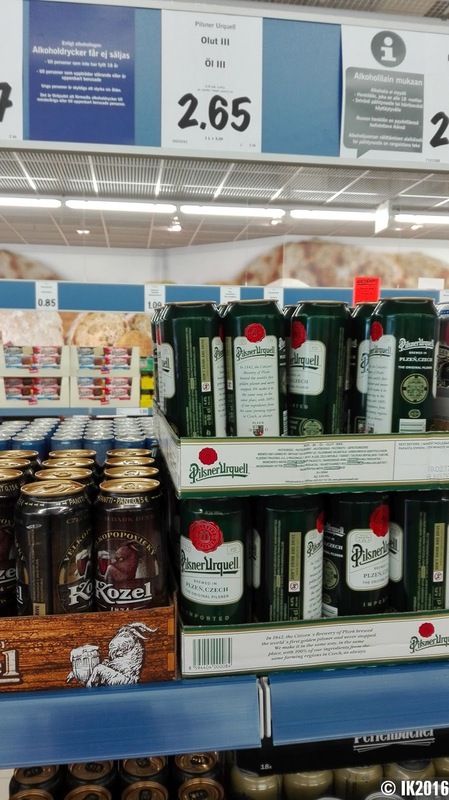 From Prague definitely alcohol - even Božkov "rum" is the cheapest option (1l for 300 CZK) is quite good deal compared to the Finnish prices (but choose something better like Slivovice from Rudolf Jelínek), as any other alcohol beverage from there. What food to bring from Czechia? Bread (you should never insult the rye-bread but...), cheese korbáčiky/parenica (pretty Czech things doe), some fancy bakery (kobliha, zbojnický rohlík), I am also buying Fidorka and few more things from the candy bar section, like Orion Kaštany and also a packet of Opavia Piškoty. Talking about the gifts to bring from CZ – I recommend Lázeňské oplatky, and a bottle of Kofola to put to the registered luggage. I didn't find anything reasonable to buy from the duty free in Helsinki duty free, all of the souvenirs like rye-bread, Salmiakki or Fazer Domino/Doris you can take through security control. Don't forget to smuggle food from a supermarket for your long starving journey. Water? You can refill your bottle with water in toilets - on both destinations the water is drinkable. There is a normal cold-water source at PRG, especially at Terminal2 / Section C. Helsinki have this annoying automatic sometimes warm pipes, they declare to have also normal pipes but when I met them they were not working. There were couple of my notes about travelling between these two places. Good is also Youtube guide for Prague, if you planning to be a tourist there since it's full of traps. I am already sorry for that. If you have any questions, I’ll try to reply to them.